Big Bus Tours was established in May 2011 as the result of the merger of the Big Bus Company Ltd (based in London) and Les Cars Rouges (based in Paris). Big Bus was purchased by Exponent LLC a London based private equity partnership in 2015. It operates currently in 20 cities worldwide. 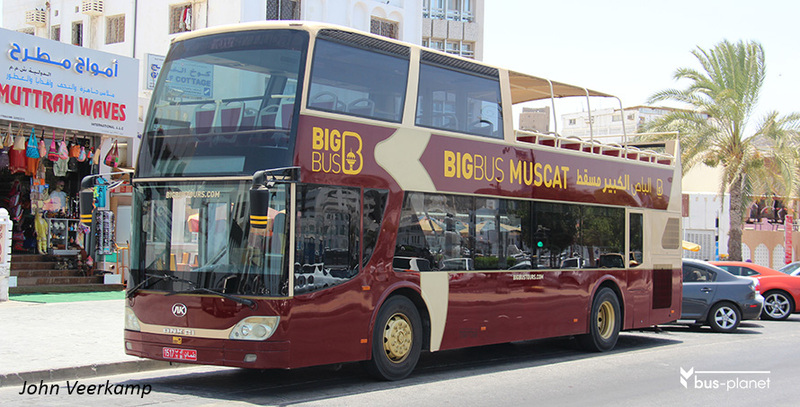 The company offers a hop-on-hop-off site seeing tour in Muscat. It uses Ankai open top double deckers for this of the same model used in other cities. The main stop is at the Mutrah Souq along the Corniche.